Mohammad “The Latest” Fakhreddine, 34, of Beirut, Lebanon and Gadzhimusa “Deadshot” Gaziev, 26, of Dagestan, Russia will compete at “Brave 16” on September 21, 2018. The Lebanese contender predicted that he will knock out his Dagestani opponent, which did not sit well with the latter. 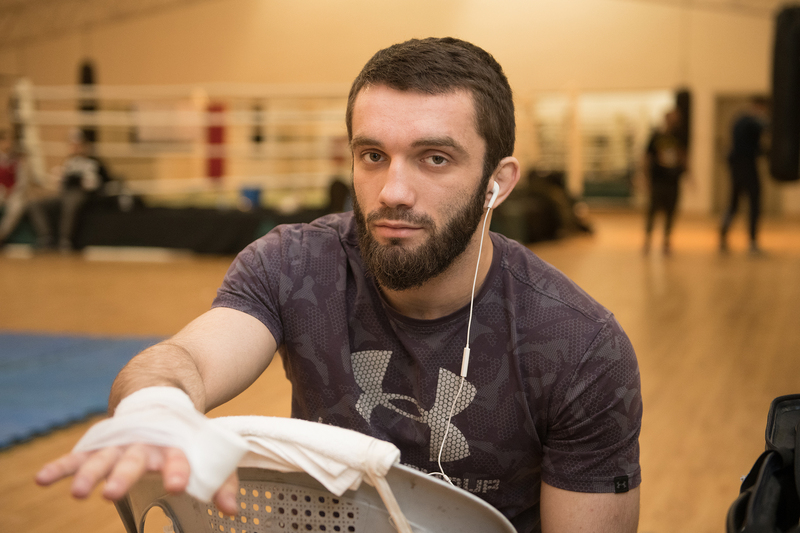 Both Gaziev and Fakhreddine are competing in Brave Combat Federation for the fifth time at “Brave 16,” which will take place at the Mubadala Arena in Abu Dhabi, United Arab Emirates. In the seventh bout of the evening, they will compete in the welterweight division. Fakhreddine is coming out of a loss. In his most recent Brave CF bout, which was at “Brave 10: The Kingdom Rises” in Amman, Jordan on March 2, 2018, he was knocked out by Tahar “Fast Hands” Hadbi, 31, of Algeria in a rematch. On November 17, 2017, the bout between Fakhreddine and Hadbi at “Brave 9: The Kingdom of Champions” in Isa Town, Bahrain ended in a No Contest. At “Brave 10: The Kingdom Rises,” the Algerian fighter ended the six-bout winning streak of his Lebanese rival. After the loss to Hadbi, Fakhreddine was supposed to compete at “Brave 13” in Belfast, Ireland on June 9, 2018 against Sidney “The All-American Kid” Wheeler, 21, of Georgia, United States. The bout was cancelled because the American contender failed to make weight and pulled out from the fight. On the other hand, Gaziev won via technical knockout in his most recent Brave CF bout, which was at “Brave 12: KHK Legacy” in Jakarta, Indonesia on May 11, 2018. He defeated former UFC fighter Leonardo “Macarrão” Mafra, 29, of Santa Catarina, Brazil. When Gaziev made his Brave CF debut at “Brave 1: Bahrain” on September 23, 2016, he knocked out Thiago “Monstro” Vieira, 27, of Sao Paulo, Brazil. It made the Dagestani mixed martial artist the first fighter to defeat the Brazilian contender.